Tires are essentially some of the most important part of the exterior of your vehicle and the safety as well. Literally, tires are where the rubber meets the road when it comes to driving on the highways and city streets. Oftentimes, I check with the service professionals and specialists at my local car dealerships in Olympia WA, trusting their advice and counsel when it comes to my vehicles. Such advice is highly valuable when it comes to safety and prevention. If you are anything like me when it comes to driving, especially on the highway or the Interstate, you tend to push the accelerator to its limits. That means that you should also have some good tread on your tires, especially for when the Northwest's weather conditions shift into rainy season or a sudden hail storm. High speed or high traffic driving might require more of a standard tread, while off-road racing and mountainous terrain require a vastly different tread pattern with deeper treads and even crosscut patterns. 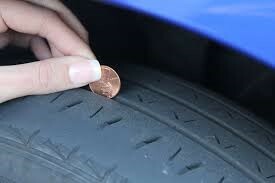 When you cannot check the tread of your tires visually, try the penny test. Sit a penny between the treads of your tire. If you can see mainly the head on the penny, you still have plenty of tread left. If you see more than the head on the penny, checkwith the professionals at your local car dealerships in the Olympia AutoMall.